In 1983 the BBC aired a series titled Master Photographers in which some of the greatest names in photography were interviewed including Ansel Adams, Diane Arbus, and Henri Cartier-Bresson. 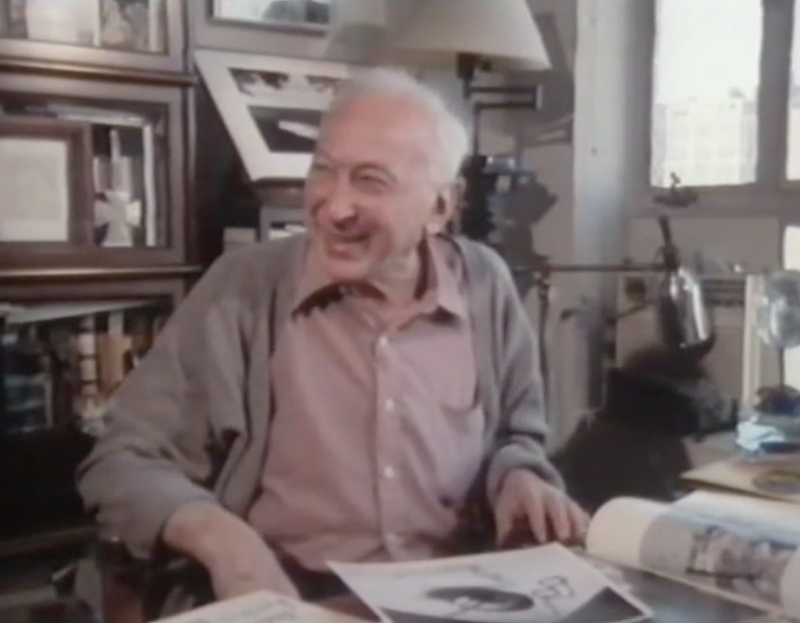 In this episode Andre Kertesz speaks about his work and life. André Kertész born Kertész Andor, was a Hungarian-born photographer known for his groundbreaking contributions to photographic composition and the photo essay. In the early years of his career, his then-unorthodox camera angles and style prevented his work from gaining wider recognition and Kertész never felt that he had gained the worldwide recognition he deserved yet today he is considered one of the seminal figures of photojournalism. Expected by his family to work as a stockbroker, Kertész pursued photography independently as an autodidact, and his early work was published primarily in magazines. He served briefly in World War I and moved to Paris in 1925, against the wishes of his family. In Paris he worked for France’s first illustrated magazine called VU. Due to the rise of Nazism in Europe and the threat of World War II, Kertész emigrated to the United States in 1936, where he had to rebuild his reputation through commissioned work. In the 1940s and 1950s, he stopped working for magazines and began to achieve greater international success. His career is generally divided into four periods, based on where he was working, they are The Hungarian Period, The French Period, The American Period and, toward the end of his life, The International Period.